What is Diet?? The dictionary defines diet as “a special course of food to which a person restricts themselves, either to lose weight or for medical reasons”. Diet restrictions for medical reason is a whole different topic to discuss. I have shared many restricted diets like veganism, sattvic diet, rawism etc. In this page, I would like to concentrate on Diet for Losing Weight. It simply means changing an individual’s food intake over a period of time like 1 day, 1 week, 1 month or 1 year. It is commonly referred to as going on a diet. Losing weight is very important for overweight and obese people in order to reduce the risk of heart problems. Moreover, maintaining a good BMI makes you feel good about yourself and more energetic. Shedding some extra weight is often a very challenging task for many. It requires some determination and will power. There are many who have attempted but only few come out successful. Each of these successful weigh losers will have their own experience. Here, I would like to share some tips and food that will promote weight loss to lead a healthy lifestyle. Disclaimer: All the information provided here is based on my personal experience in dieting and weight loss. If you have some chronic conditions or if you plan to go on a very strict diet program, please talk to your doctor or dietitian before you start. My husband was able to successfully reduce 15 kgs over a period of 6 months. His target was to reduce ½ kg per week. So below are the tips and tricks that we followed. Before starting to diet, a crucial thing to remember is that while dieting you have to eat a nutritious and balanced diet. It simply means that no matter how much less food you consume in a day, it must contain food from all the food groups – whole grains, proteins, vegetables and fruits and dairy in the right proportion. Dieting does not have to be boring. You can choose any regular food that you enjoy eating and make it healthier. For e.g: If you enjoy dosas, try to make dosa with healthier ingredients like oats or ragi. Portion Control is the secret. Irrespective of the food you choose, have a strict control over the portion you eat. Try to restrict your calorie intake to 1200-1500 calories per day. I would recommend eating 3 meals of about 300-400 calories each and enjoy 3 mid meal healthy snack around 100 calories each. There are many online tools to help track the calorie count of the food you take. Once a week, enjoy a meal of whatever you fancy throughout the week. This will reduce your craving as well as speed up your body metabolism. Keep yourself mind busy with some work to stop it from thinking about food. The busier you are, the less likely you are to crave for food. Dieting is recommended along with exercise of some form in order to reduce body weight. It is good to work out for 30 minutes to 1 hour in a day. This should include some walking and some moderate exercises. Never skip breakfast. It is one important meal that in fact helps in weight loss. Also, eat your dinner light and early enough. Try to finish dinner no later than 8 pm, a minimum of 3 hours before going to bed. Avoid fatty, oily and sugary foods as much as possible. Also avoid processed food. Instead, try to include more of low calorie and low carbohydrate food. Also, include lot of healthy snacks like fruits, buttermilk, salads, etc. Always have these healthy snacks on hand easily available so that you don’t end up eating junk. Invest in a weighing machine. Checking your weight every day will surely motivate you and will also help you to plan out your meals. Breakfast (between 8 am to 9 am)– 2 Dosas or 2 Rotis or 2 Bread slices with some side dish or omelette. Lunch (between 12 pm -1pm) – 1 cup Rice or 3 Chapatis or a sandwich with 1 cup of Vegetables and some protein like chicken, fish, soya or mushroom. On Sundays, we indulge in whatever we love and do not bother much about the calorie count. 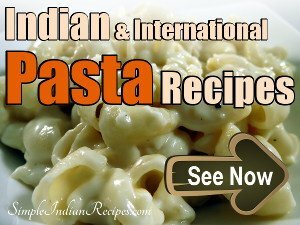 Here are some recipes mostly Indian and some International that can be helpful to make your dieting interesting with more varieties. 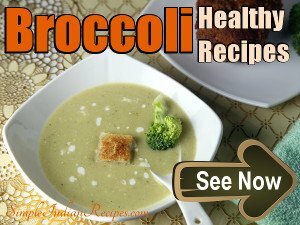 Most of the recipes are dishes with high fiber content and low in calories. 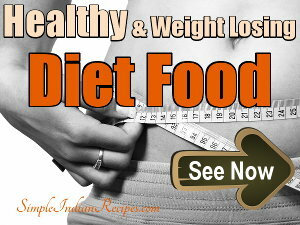 Try these healthy diet recipes and be successful in reducing your extra weight. the mushroom will eat with out burning. All the best with your weight loss journey. Be strong willed and you will surely succeed. I have tried to reduce my weight green tea , gym, food lessen the fat , no rice but still no effect. Your post is very good. You can also go to here to know the Happy Dinner Idea. Please also try to write another blog especially for veg. Food. 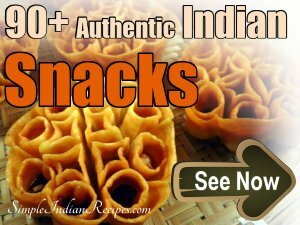 I will try to add more veg recipes in this website itself. I am 19 years old and i am looking as 25 years old , my weight is 85 kg. please suggest me some tips to reduce my weight and look young. Just follow some of the tips given above. Eat more fresh vegetables and fruits. Exercise regularly. Slowly you will look fresher and younger. I am 25 years old having 75kg weight & 5.0" height ,please advise some tips to reduce my weight up to10 to 12 kg within two month. Everyone desire to eat tasty food as many times as possible, but most of us restrict ourselves to limit food in order to maintain a healthy lifestyle. We kill our urge to eat tasty foods, as they might store unwanted fat within our body. We stick to a weight loss- meal plan and limit to healthy foods in a particular day. Breakfast and lunch times do play a key role when you are planning to lose weight. Brown rice is a great source of fiber-rich foods and is an energy packed food for morning people. I am 47 years old having 87kg weight & 5.9" height ,please advise some tips to reduce my weight up to 10 to 12 kg within two month. Hey... I need some tips from u coz I've put a lot of weight... M just 19 but just coz m over weight I luk like m 25 or 26.. wat should I do to lose my weight as fast as possible? Hi my daughter is 12 years old and now she is 60kgs. Please anyone suggest me to reduce her weight. Please consult a proper dietician for proper instructions based on your dads health condition. I have given some generalised tips above. Hello Suveka, This is Amit Chauhan from Saharanpur (UP). you have to take low calori and high fiber food to maintain your health. you can catch me on facebook for personalized diet plan based on their health condition. These all are very healthy and high fiber meals and helps to reduce weight. Loved to read all the diet recipes which is really an inspiration. Thank you for sharing all these meals. Thank you. Do try out. Keep checking often to find more new recipes added. 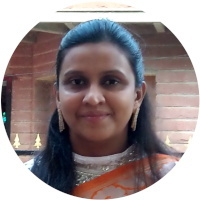 My name is Srilatha,I'm 41. I have hypo thyroid..Recently started small dose of thyroxine..I want to start a diet plan seriously.but I wonder when can I take water considering before & after 20min time gap between meals..Water intake for me is somehow very difficult unless I'm conscious of water importance..I want to make sure to take 3 liters per day..Can you please suggest time & water intake if i go with diet plan..Thank you..
Hi my name is biswaranjan and I am 27 . my night is 6 ft and weight is 87 . I want to loose some weight but as for my busy schedule I can't loose any weight pls give me some tips how to reduce weight. hi, my name is Arpita Ghosh, from Kolkata. my age is 35+ and i am a sugar patient. my height is 5ft and weight is 59. i take insulin daily twice -morning 15 unit, night 13 unit, with the help pf insulin, my sugar level is almost normal. i don't have time for exerciser for my office and to take care of my little son in home. and cooking also. please advise me. Hi Arpita, You are still quite young. It is very important to take care of yourself first. Only if you maintain good health will you be able to take care of your son better and earn better. Whatever be the tight schedule, you have to spend 1 hour each day exercising. This will not only freshen you up, make you productive but also improve your health. Hi, it is advisabke to consume tomato, bitter gourd and Indian Gooseberry juice on empty stomach in the morning. Three months of regular consumption will decrease your blood sugar levels. Published by Dahlia Twinkle on 2012-03-20 and last updated on 2018-06-25.